We’ve emerged from Seattle’s wettest March on record to beautiful spring, likely with plenty more rain. Rain, in my book, is a good thing, it’s one reason why our city is so green. Ample rain also makes for ample flowers. 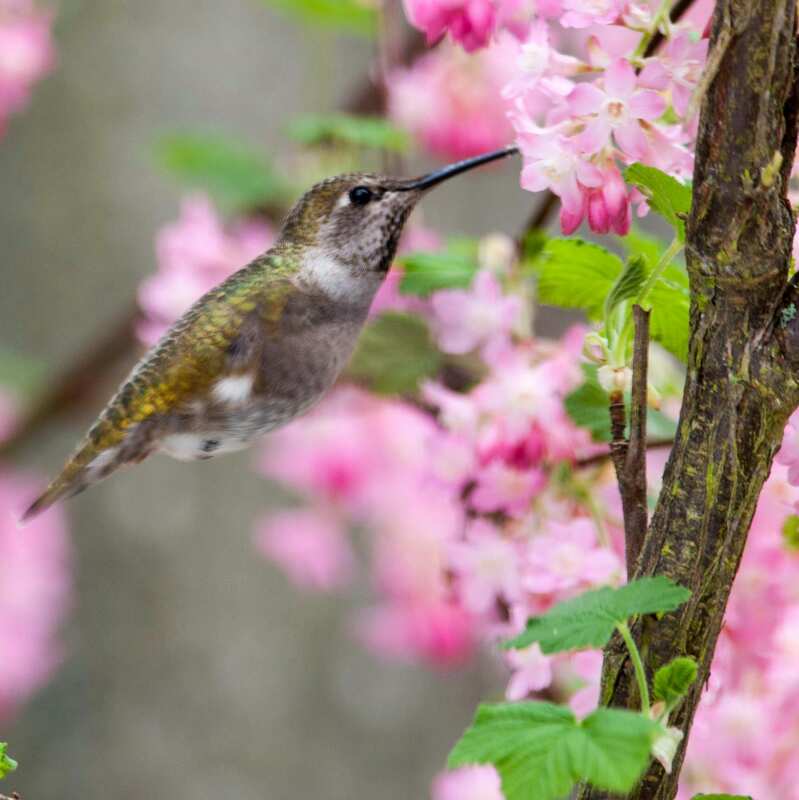 A female Anna’s hummingbird visiting a red-flowering currant. Credit: Brendan McGarry. 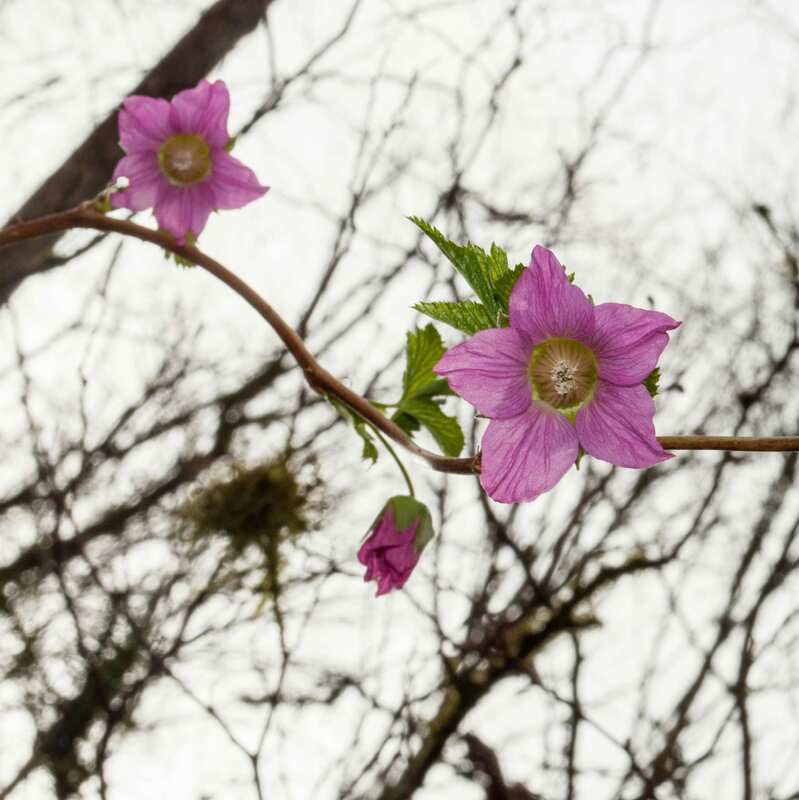 The red-flowering currant doesn’t produce as tasty a fruit as its relatives, but the paucity of flavor is made up for by beautiful pinkish-red blooms that start in late winter. This has made it a popular plant for native gardens all over the Hill. Bumblebees appreciate these early food sources; they’re one of the first insects moving about, adapted to colder climates with furlike pelts and large bodies. Rufous hummingbirds arrive back from wintering in Mexico to catch currants and others on this list in full bloom. 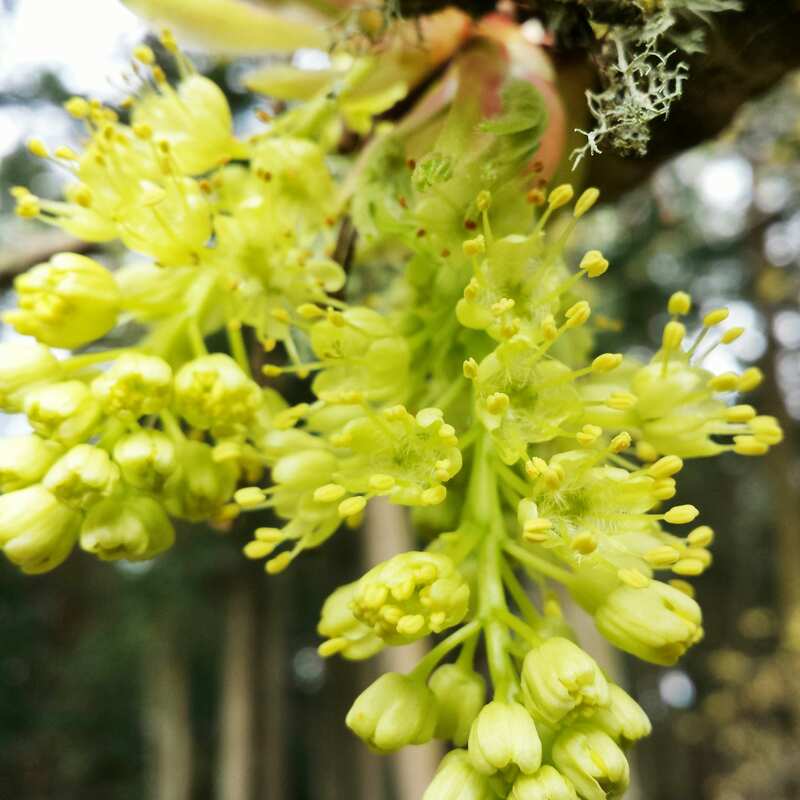 Bigleaf maples may not have bright flowers, but their chandeliers of pendulous greenish-yellow blooms are copious and a pollinator favorite. Most have been displaced by exotic species in the ultra-urban setting, but a few persist in greenbelts. Interlaken Park and the St. Mark’s Greenbelt are good places to find them. Take a peek at all the insects on their flowers. I recently counted at least 10 different species of insects in a few clusters, from bees and wasps to flies and beetles. Tall Oregon Grape flowers. Credit: Brendan McGarry. This shrub has several horticultural varieties, many in gardens on the Hill. However, it isn’t a grape and it ranges beyond Oregon. 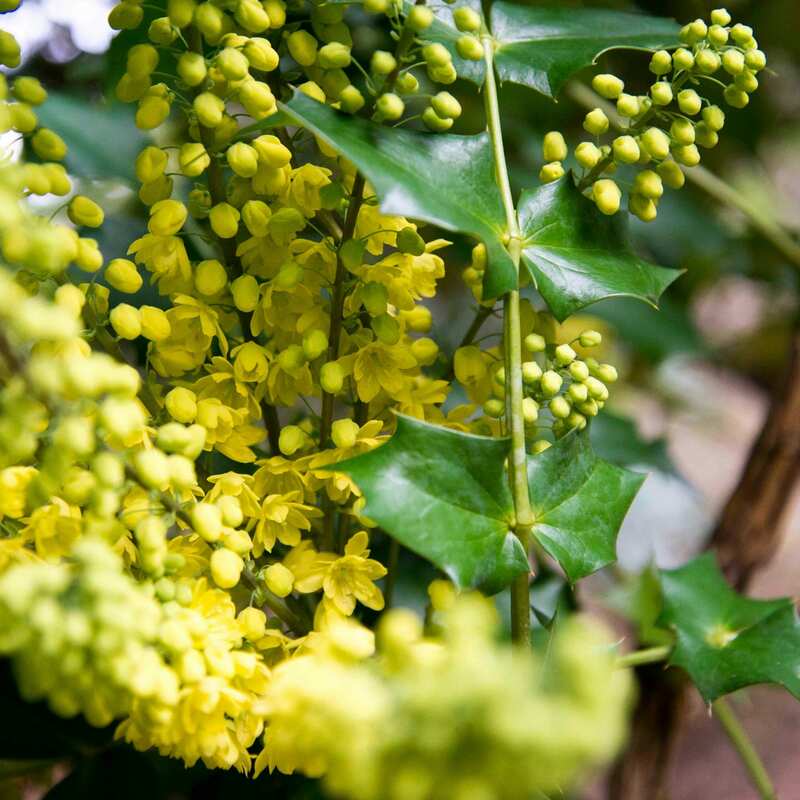 Looking more like a shrubby holly, the fragrance and bright yellow of Oregon grapes always gain my attention. Anna’s hummingbirds visit their columns of blooms as soon as they’re available, which can be in mid-winter. Some larger varieties are planted in the winter garden at the Arboretum, but show up intentionally or introduced as seed, via a hungry bird, in many gardens. The berries, which ripen later in the year, are edible. However, If I were pressed, I’d say they taste of sour broccoli (please don’t go eating wild berries without foreknowledge anyway). While most of our palettes are too marred by processed sweeteners (and the tastier invasive cousin, Himalayan blackberry), to appreciate salmonberries as food, we can enjoy their magenta flowers. As with the currant, rufous hummingbirds time their arrival for these blooms, which open just as leaves are poking out. They aren’t a common garden plant, but in places not choked by ivy and blackberries, like damper areas of Interlaken Park, you can find clusters of these tan branched natives. In reality the most abundant bloomer at the moment (be sides dandelions), are flowering cherries and plums. 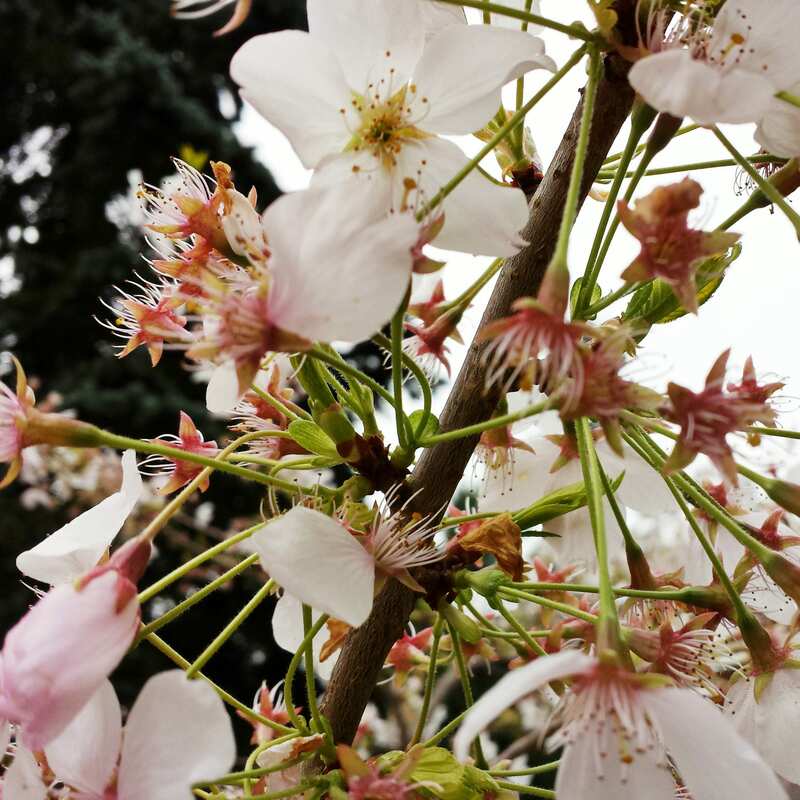 These ornamental trees, with inconsequential fruiting at best, are prized by people for spring blooms. None are native, having arrived from Europe and Asia at the fancy of people. While I’d rather see our streets lined with native plants, I will admit I enjoy their abundance and the breadth of whites, pinks and purples. Great, informative post, thanks! I love learning more about the area all the time. Great stuff, sir. Thanks for posting. Thanks! Glad you both enjoyed it.